We are audited annually for this certification. The FCA are a not-for-profit pressure group driven by members and offer a wide range of business benefits that help members to be successful and profitable. The Forestry Contracting Accociation also provide a platform for individuals and specialist contractors to air their views, gain knowledge from other sectors of the industry, and be given the opportunity to provide a united front as part of a professional organisation. Our Confor Membership provides our company with up to date with relevant industry information and provides us with helplines for legal in chemical information. Confor also provides our industry with Political & Technical representation to work closely politicians to help support our industry requirements. 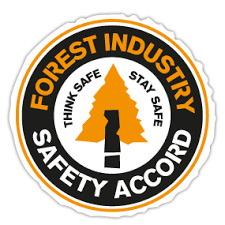 FISA Believes that all fatalities and injuries are preventable and supports development of a new safety culture where the health, safety and the welfare of all working in the forest Industry is a fundamental priority. Through strong and committed leadership, FISA work collaboratively to significantly improve the health and safety performance of our industry. Citation Ltd looks after our company's Health & Safety, Employment Law and Environmental Law and keeps updated with legislation. They provide us with a 24 helpline with advice and guidance. Risk Assessment & Method Statements templates are downloaded from their Atlas Web Portal which is also used as a tool for update training logs and refresher course diaries. 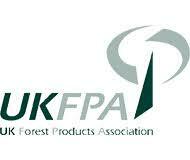 We are also members of the UKFPA and have access to unlimited help and advice with all aspects of the forestry industry. The United Kingdom Forest Products Association represents the technical and commercial interests of contractors across the UK.